Listen up! One of the most powerful women in entertainment is about to drop some wisdom! Ellen DeGeneres is the Daytime Talk Show Queen (Sorry, Tyra. You tried!). The widely popular Ellen DeGeneres Show has been a major hit in the states for eleven years. Every day, Ellen's bright, bubbly smile enters the homes of millions of people, but she's more than just a TV host. She's a successful comedian, voice and TV actress, television producer, and writer. She's also one of the most public and well-known faces behind the LGBT movement. Ellen was born and raised in Louisiana, USA. She went to college as a communications major but eventually dropped out to chase after her comic dreams by the mid-70s. While holding down odd jobs as a waitress, administrative assistant, and house painter, she performed in small nightclubs and gained serious exposure by the early 80s. She began touring across the country and, most notably, appeared on The Tonight Show With Johnny Carson in 1986. ​The woman showed glimpses of star power so it was natural for her to turn to TV. The sitcom Ellen premiered in 1994 to much success. However, Ellen DeGeneres, the woman, was holding onto a secret that threatened her status. At that time she was known for her her safe, kind, and borderline PG-rated comedy. Her homosexuality could cause her to lose fans. Yet, Ellen braved her critics and came out as a lesbian on her show in 1996 and was then featured on the cover of Time Magazine under the succinct headline: Yep, I'm Gay. Since her coming out, we've seen Ellen blossom in her personal life and career. 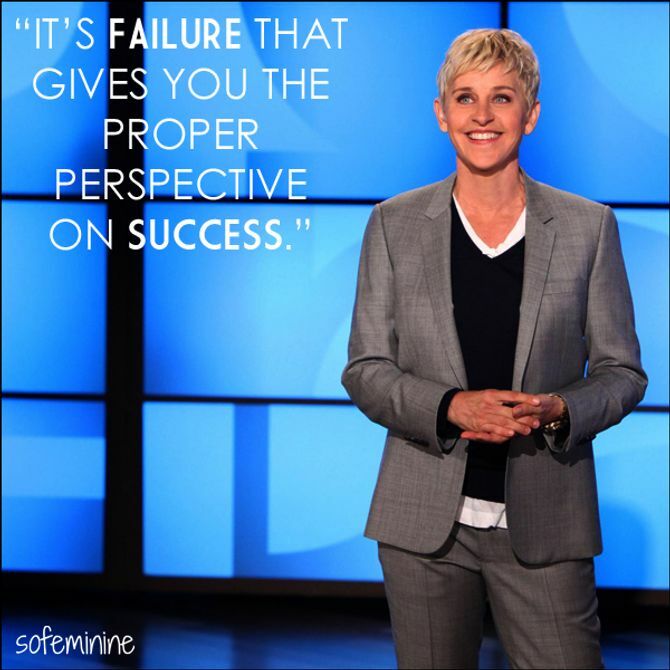 Check out our top 10 favourite pearls of wisdom from Ellen DeGeneres! Ellen's second sitcom, The Ellen Show, was eventually canceled in 2001. Many suspect the religious backlash against her being lesbian caused ratings to drop. But her bravery scored her millions of accepting, progressive fans, which is why her talkshow has become a critical success. 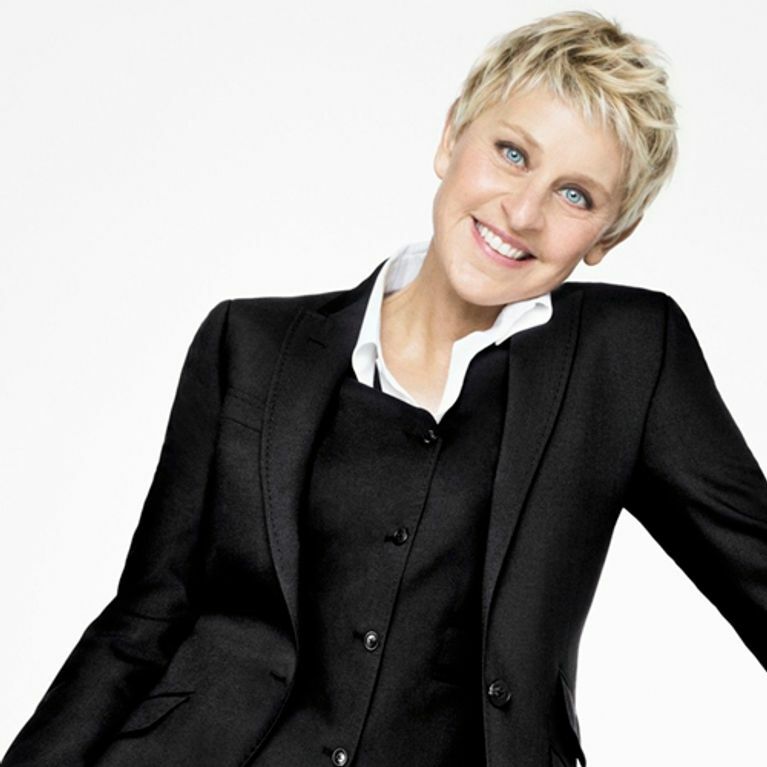 ​Ellen has won 14 Primetime Awards and 13 Emmys. She's also hosted the Grammy Awards, Oscars, and Emmys. Her courage, acceptance of herself, and work ethic is to be admired! Which piece of wisdom is your favorite? Tweet us @sofeminineUK and check out last week's Wednesday Wisdom! This article was written by Carla. Follow her @karlawitha_c.